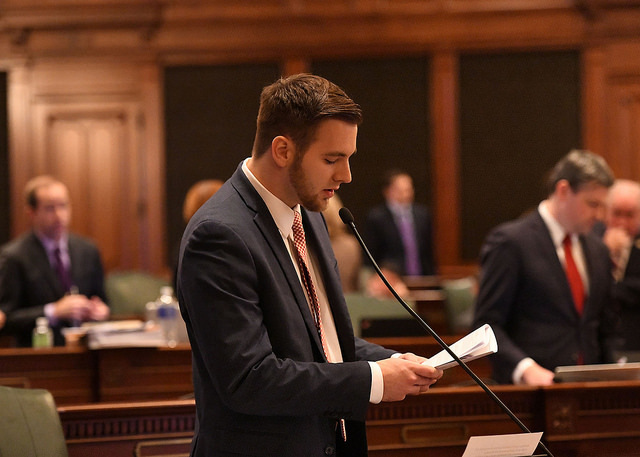 The Illinois House of Representatives has unanimously approved bipartisan legislation sponsored by State Representative David Allen Welter, R-Morris, to give youth living in facilities managed by the Department of Children and Family Services (DCFS) a strong and influential voice in shaping decisions to improve the care they receive. House Bill 3153 now advances to the State Senate for consideration. It secured final passage in the House of Representatives by a vote of 111-0 on Wednesday. The Chief Co-Sponsor of Welter’s bill is Representative Stephanie Kifowit, D-Aurora.